3 Dancers is one of the earlier pieces Csuri created when he began preparing for his professorial retirement at Ohio State and his return to working as a full-time artist. 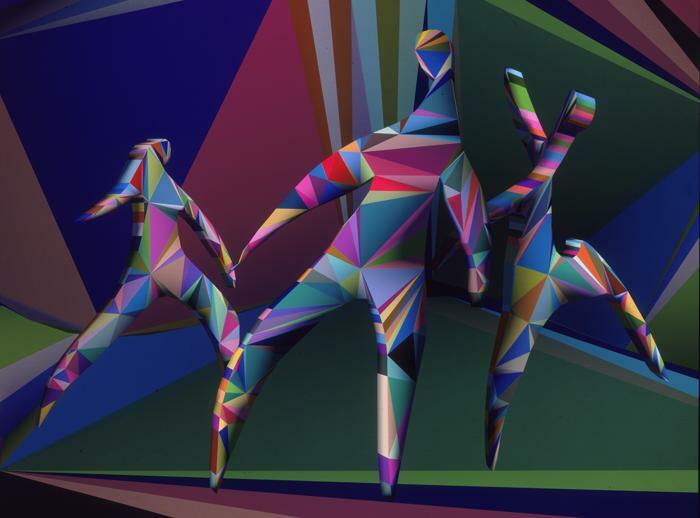 Csuri did not have human figure data at this time, so the artist used the computer to extrude his 2-dimensional figure drawings, thereby giving them volume. At this time, Csuri's technology was not able to blend colors, to shade or model, or to apply texture map and bump maps. The polygons' solid colors were randomly generated.